With the news of Terry Francona moving Danny Salazar to the bullpen for the time being, it’s tempting to endorse Clevinger as a pickup moving forward. 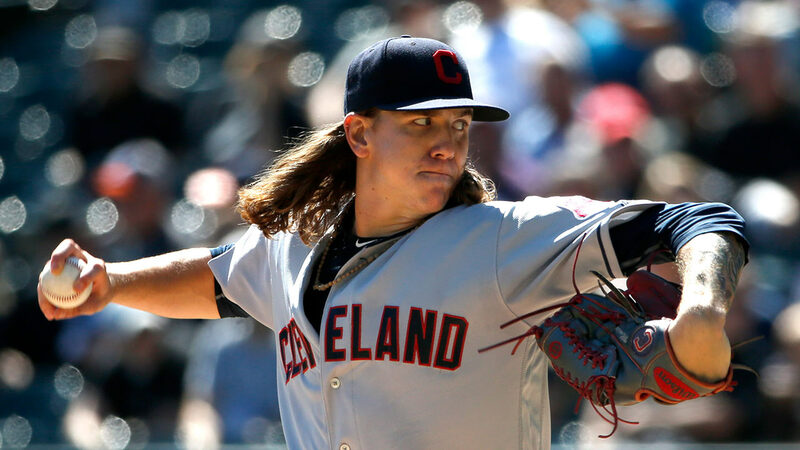 However, I think the move for Salazar will be temporary and I have concerns about Clevinger’s BB/9, which currently stands at 4.84 and isn’t too far off from last year’s 4.92. Wednesday’s matchup versus Oakland is enticing, but unfortunately after that comes a trip to Colorado and a matchup against the Dodgers. It’s enough to make me hold off from adding Clevinger, especially since his BABIP and LOB% indicate negative regression in the future. Despite having a low IPS due to his recent conversion from a relief pitcher to a starter, I like Peacock’s outlook in the near future due to his high K/9 rate. He was roughed up a bit in a recent outing against the Minnesota Twins, but his strikeout to walk ratio in his previous two games reveal that he’s got some skill. He’s a superior pitcher to Mike Fiers, so I expect him to stay in the rotation and increase his IPS as he makes more starts. About this time a week ago, I was checking my leagues multiple times to see if there was any room on my roster to add Joe Ross for his two start week against the Mariners and the Padres. 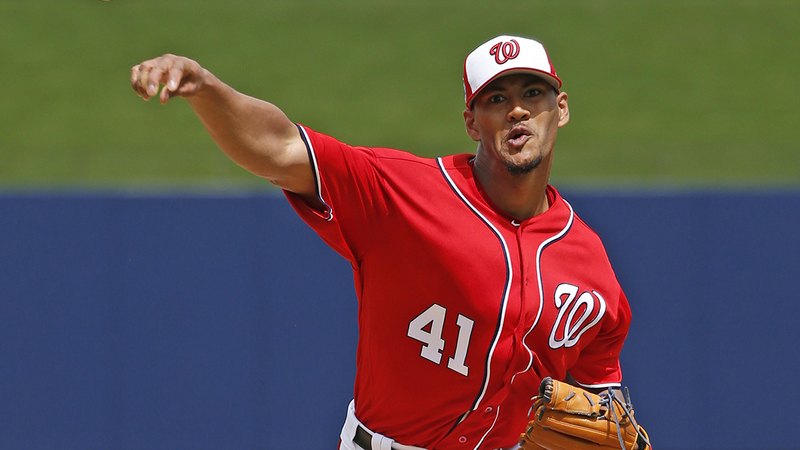 He passed his first test with flying colors, but then proceeded to lay an egg against the lowly Padres with a line of 12 H, 5 ER, 1 BB, and 4 SO in only 4.0 IP. He got BABIP’d to death for sure in that start, but it has me worried enough to drop him in the leagues I actually owned him in. The Padres are that team that can make average pitchers look like superstars, so when a pitcher does badly against them, it’s a cause for concern. It seems like the reasons he was sent down to the minors might still persist, so I’m holding off adding him back for now until he shows some more consistency. His Regression Profile indicates regression eventually and his next start is a decent matchup against the A’s, so let’s hope we see a rebound then. The Cubs have been struggling offensively lately, but nonetheless, it’s still noteworthy when a pitcher has success against them. Such is the case with Dinelson Lamet, who followed up a strong 8 K in 5.0 IP outing against the Mets with another 8 K in 5.0 IP outing against the Cubs yesterday. Granted, it’s not the best sign he was only able to go 5.0 innings, but it does show impressive skill that he was able to record so many strikeouts in a limited amount of time. He faces another strong test in his next start at Arizona, so this could be an “add now, start later” type of situation. But if he continues his success against the Diamondbacks, he’ll surely become a must own player. 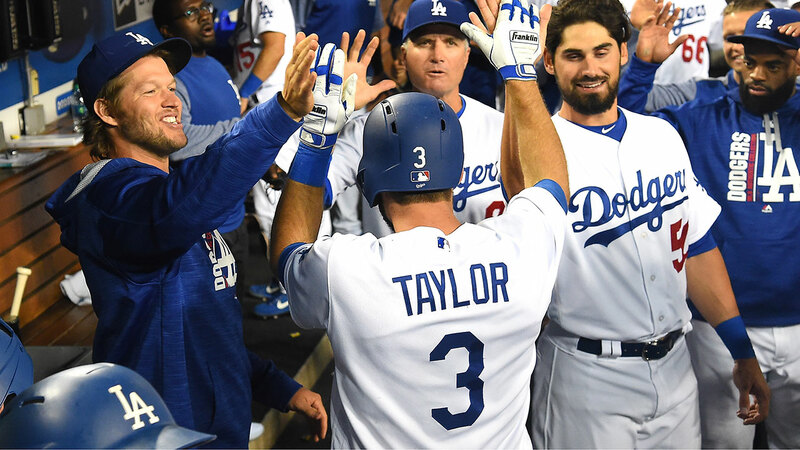 Chris Taylor has done an admirable job of filling in for Justin Turner while he’s been on the DL and shown some serious potential for his future in the majors. Unfortunately, it’s come at the expense of some seriously unsustainable numbers. Both his BABIP and HR/FB rate are far above his career norms and he doesn’t project to be a power hitter, so I don’t expect much of what he’s done to continue. He definitely benefits from being eligible at multiple positions, but I don’t expect him to stick in a stacked Dodgers lineup once Justin Turner returns from the DL. With that in mind, he becomes a much less appealing option off the waiver wire. I’m reaching deep here with Whit, but I think it’s possible we could be seeing a breakout season from him. After a slow start, he’s been on fire lately with a 15 game hitting streak and a performance against Detroit on Monday where he fell a single short of the cycle. You’d think that means he’s hitting at an unsustainable rate, but his peripherals on the season indicate what he’s done so far can keep up. He’s also got 6 steals on the year and there could be plenty more to come, as he stole a career high 32 bases in the minors in 2015. Combine all of this with the fact that he has an everyday spot in the lineup that could move up in the order if Alcides Escobar continues to struggle, and you’ve got an intriguing power-speed option that’s rarely owned in leagues. We could be seeing him on the most added list fairly soon if he can stay productive. 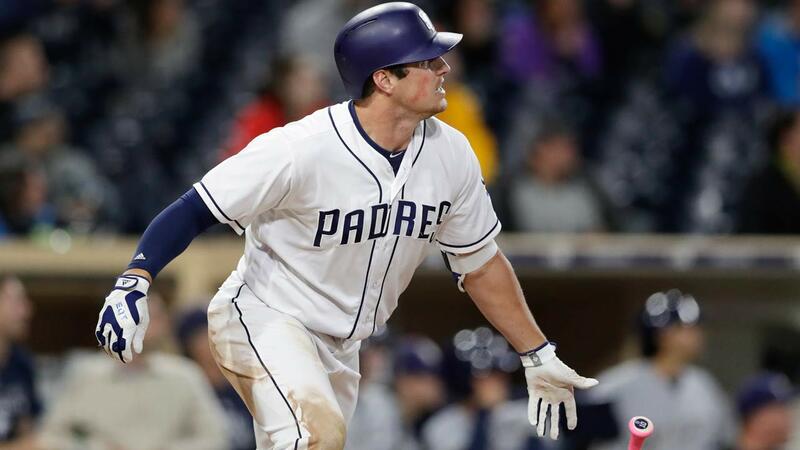 After mashing the ball for two straight weeks, many people are starting to add Renfroe to their rosters, but to me it feels like we’re going to be chasing his production this year. His all-or-nothing approach at the plate gives the impression that he’s a streaky hitter and adding him after sustained production opens up the possibility that you’ll own him in time for his next cold streak. He still has less than 300 plate appearances in the majors, so it’s likely that he still needs time to adjust before becoming a dependable major league hitter. In the battle of players who have hit a grand slam in the past week, I prefer Domingo Santana to Hunter Renfroe, who is somehow younger than Renfroe while having vastly more playing time in the majors. Santana has a superior pedigree and a profile that supports a high BABIP and impressive plate discipline, all of which gives him an advantage over Renfroe. And then there’s also the fact that he doesn’t play for the Padres. He always seems to be owned in my leagues, but if he’s available in yours, you shouldn’t hesitate to add him to your lineup. I love that you give alternatives. If you could keep Renfroe is the 20th round next year or Bregman in the 10th who would you go for? Do you need an answer in May or in September or later? Hey! I think I answered your question in the Reddit thread but I’ll answer again here. Like MikeyP31 asks below, it’s obviously better if you can set your keeper at the end of the year as opposed to now. As of now though, I like Bregman for now and the future. He’s a higher end prospect and is producing more value now, so go with the guy who will help you win now. I think he’s actually been a bit underrated this season, but he’s heating up right now.